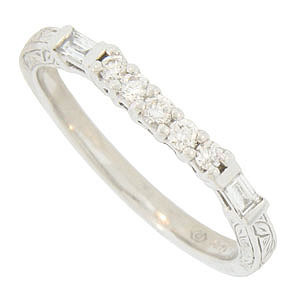 This brilliant 14K white gold curved wedding band is frosted with five round faceted diamonds. 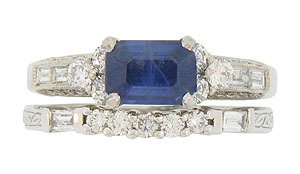 The shoulders of the ring are each set with a single faceted diamond baguette. 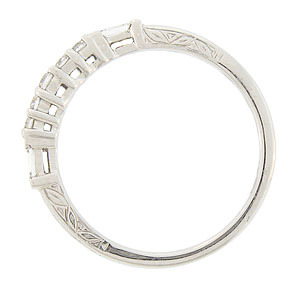 Ornate organic engraving adorns the shoulders and sides of the antique style wedding ring. Photographed with R2778 (sold separately). The ring measures 2.05 mm in width. Size 6 3/4. We can re-size slightly.